CALGARY, AB, Feb 6, 2015/ Troy Media/ – The newest entrant into the ongoing saga of the serially-delayed Keystone XL pipeline is the U.S. Environmental Protection Agency, which recently created yet another reason to delay the project that would carry Canadian oil to refineries in the U.S. Gulf Coast. On Feb. 2, 2015, the EPA showed unusual alacrity in firing off a letter to the State Department, critiquing its now one-year-old Final Supplemental Environmental Impact Statement on the Keystone XL project. With its letter to the State Department, the EPA is striking opportunistically, invoking what many analysts believe to be a short-term dip in oil prices to attack the Keystone XL pipeline despite the EPA’s own understanding that what really matters is the long-term price of oil. President Barack Obama is almost certain to take EPA’s letter as carte blanche to either kill the project outright or, as he more often does, punt it down the road by instructing the State Department to do a re-analysis that satisfies the EPA, which is almost certainly an insurmountable hurdle until the his Administration is out of office. In a nutshell, EPA is challenging the State Department’s assumption that oil from Canadian oil sands would find alternative pathways to market and that, therefore, approving or disapproving the pipeline would not change Canada’s oil sand-associated greenhouse gas emissions. The core of EPA’s argument is that the State Department made that assumption when oil prices were above US$75 per barrel. The State Department report does conclude that with an oil price below $75, being denied access to the lower-cost transport of pipelines could indeed result in reduced oil sand development. And the long-term (even the not-so-long term) still seems bright for the producers who would fill the Keystone pipeline. Peter Hall, chief economist at Export Development Canada sees oil rebounding beginning in 2015 as well, expecting to see oil return to the US$85-90 dollar level. Goldman Sachs expects oil prices to rebound in 2015, returning to US$90 per barrel by 2016. Boone Pickens believes that oil will return to US$85-90 per barrel in the next 12 to 18 months. Bloomberg Business says that prices could rebound to US$100 as early as next year, citing estimates from Sanford C. Bernstein & Co., Standard Chartered and Barclays Plc. 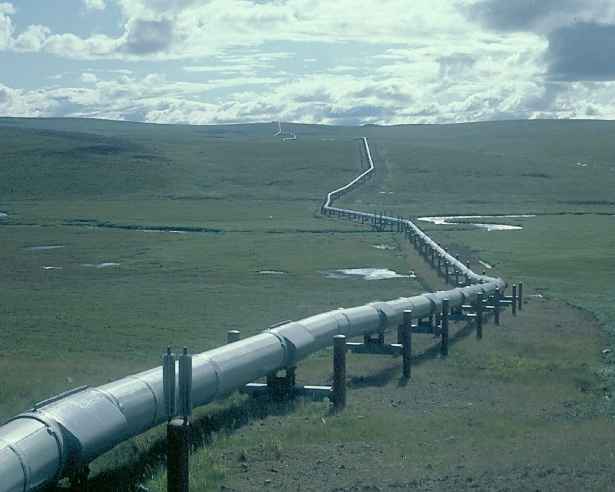 In the meantime, oil continues to flow to market via rail and non-Keystone oil pipelines in the United States. As the State Department’s analysis also makes clear, the environmental and safety implications of pipeline alternatives are definitely worse than building the pipeline. State estimated (p. ES-35) that more oil will be spilled, more lives lost, and more people injured if Keystone XL is not built, and Canada’s oil is transported by other means such as rail and roadway. The Environmental Protection Agency may have given Obama the excuse he needs to kill or further delay the Keystone XL pipeline, but there’s no sugar coating it: if he does, it won’t only be an insult to Canada and a slap at its oil sector, it’ll be worse for the environment, and pose more danger to the public in both Canada and the United States.